For information about South Central’s Outpatient Rehabilitation, please call 601-399-0534. South Central Outpatient Rehabilitation is located at 23 Mason Street, Laurel, MS 39440. For information about South Central’s Inpatient Rehabilitation, please call 601-426-4119. South Central Inpatient Rehabilitation is located on the First Floor at SCRMC. 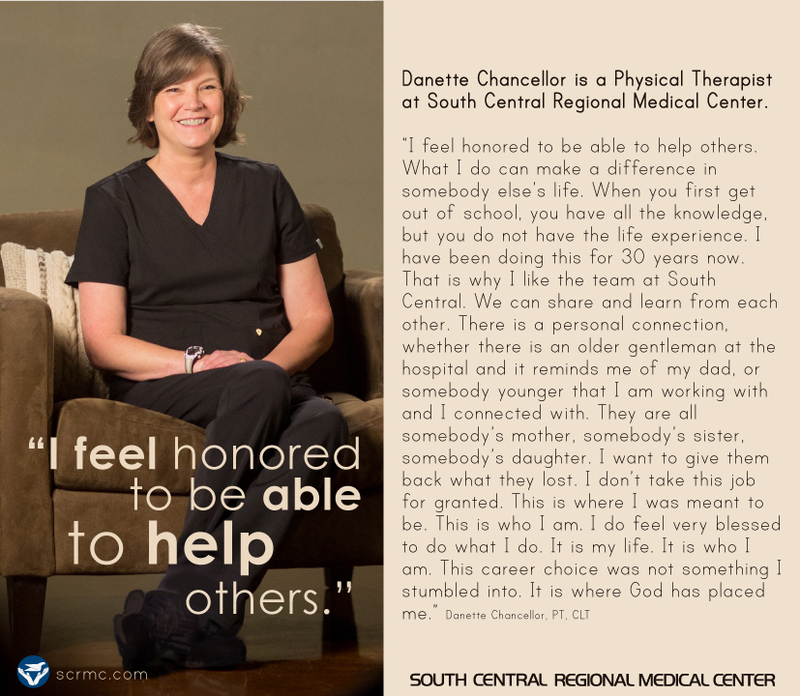 South Central Regional Medical Center’s Outpatient Therapy Center offers a variety of services, including Physical Therapy, Occupational Therapy and Speech Therapy. We have convenient locations in Laurel, Taylorsville and Ellisville. Physical Therapy helps preserve, develop and restore physical function. It can help restore physical health that has been lost due to injury, disease or other causes. Occupational Therapy helps patients return to activities related to their duties at work and home and helps them regain skills and overcome obstacles. Speech Therapy helps restore speech, language, voice and swallowing after a stroke and preserves these functions in patients with Parkinson’s disease, Dementia and other Neurological diseases. Many of our therapists have over 30 years experience with specialized certifications including manual therapy, sports medicine, vestibular rehab and lymphaedema management.